Bailin and Ernest have known each other since their school days in Vienna, when they used to fight about whose turn it was to get to play on the school’s best piano. Ernest studied composition and saxophone at the University of Music and Performing Arts, and Bailin enrolled at the Medical University of Vienna. During their studies, the two founded the rehearsal and recording studio “t-on“ in 1997. At the same time, Ernest managed to earn a few bucks on the side by tuning pianos. While speaking with his customers, he was constantly disappointed to hear stories about how difficult families found getting an affordable new piano, and how the market for used pianos was full of poor service from dealers with a lack of expertise. The often hardly safed money was gone as well as the dream of having an own piano. This situation, in the “City of Music”, bothered them both so much that they decided to do something about it. In 1998 Bailin and Ernest opened their first piano shop, the KLAVIERgalerie, in Andreasgasse, Vienna, beside the important shopping street “Mariahilfer Straße”. In a store of 120m² they sold carefully-chosen used, yet affordable pianos. After their honeymoon trip to Asia in 1999, both were inspired to take things to the next stage. They visited seven piano factories and numerous piano dealers during the trip, and realised the enormous potential for piano manufacturing in China, despite the significant problems with quality standards. They were determined to bring European know-how to China, and thereby setup the perfect symbiosis between traditional, specialist knowledge, and modern production methods. 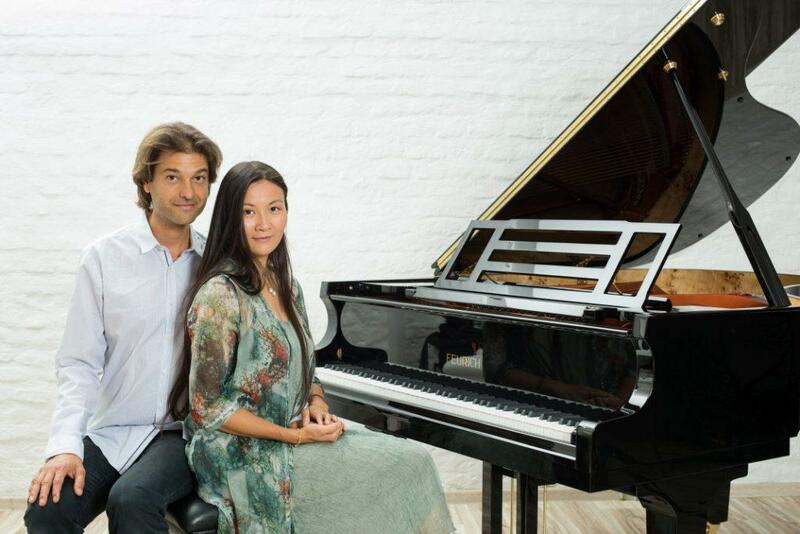 They began their first collaboration with a Chinese state-owned piano production company. Unfortunately, the complicated bureaucracy and high staff turnover amongst the company managers meant that no significant progress could be made. A recommendation from a Chinese family friend then brought a big breakthrough. Bailin and Ernest were introduced to a private manufacturer of piano parts in Ningbo, and began a collaboration together which has enjoyed success to this day. The combination of European quality standards and hi-tech, precision machines used in the Chinese factory, resulted in the perfect symbiosis needed to produce first-class pianos at an unbelievable price point. In the last years, Bailin and Ernest have continually developed and expanded the international FEURICH technical team, and have not been afraid to invest the energy required to realise and implement complex innovations in piano manufacturing. The opening of the FEURICH piano production facility in Vienna in 2016 was the fulfilment of a dream for Bailin and Ernest. On one hand, because one of the most innovative pianos in the world would be produced here, on the other hand, because they are passionately about reviving the tradition of piano building in Vienna, the “City of Music“. Their two children, Ennio and Loreen, are just as passionate about music and are daily visitors to the KLAVIERgalerie and the FEURICH workshop in Vienna.